Useful Equations And Conversion Factors. Using The Spice Circuit Simulation Program. Troubleshooting - Theory And Practice. USEFUL EQUATIONS AND CONVERSION FACTORS. 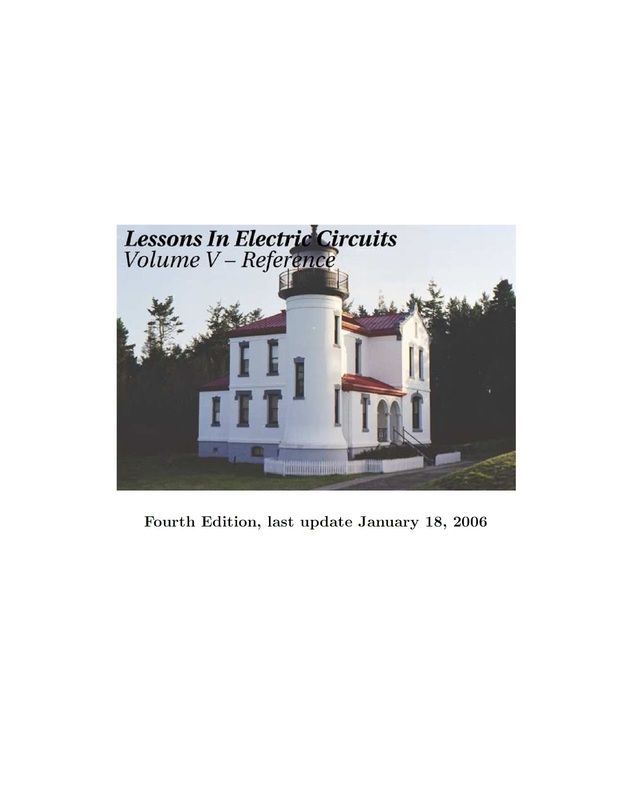 DC circuit equations and laws. 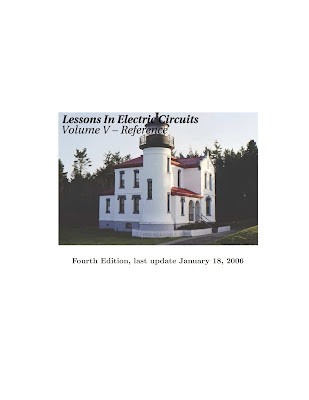 Series circuit rules. Parallel circuit rules. Series and parallel component equivalent values. Capacitor sizing equation. Inductor sizing equation. Time constant equations. AC circuit equations. Decibels. Metric prefixes and unit conversions. Data. RESISTOR COLOR CODES. Example #1 to #6. CONDUCTOR AND INSULATOR TABLES. Copper wire gage table. Copper wire ampacity table. Coefficients of specific resistance. Temperature coefficients of resistance. Critical temperatures for superconductors. Dielectric strengths for insulators. Data. ALGEBRA REFERENCE. Basic identities. Arithmetic properties. Properties of exponents. Radicals. Important constants. Logarithms. Factoring equivalencies. The quadratic formula. Sequences. Factorials. Solving simultaneous equations. TRIGONOMETRY REFERENCE. Right triangle trigonometry. Non-right triangle trigonometry. Trigonometric equivalencies. Hyperbolic functions. CALCULUS REFERENCE. Rules for limits. Derivative of a constant. Common derivatives. Derivatives of power functions of e. Trigonometric derivatives. Rules for derivatives. The antiderivative (Indefinite integral). Common antiderivatives. Antiderivatives of power functions of e. Rules for antiderivatives. Definite integrals and the fundamental theorem of calculus. Differential equations. USING THE SPICE CIRCUIT SIMULATION PROGRAM. Introduction. History of SPICE. Fundamentals of SPICE programming. The command-line interface. Circuit components. Analysis options. Quirks. Example circuits and netlists. TROUBLESHOOTING - THEORY AND PRACTICE. Questions to ask before proceeding. General troubleshooting tips. Specific troubleshooting techniques. Likely failures in proven systems. Likely failures in unproven systems. Potential pitfalls. CIRCUIT SCHEMATIC SYMBOLS. Wires and connections. Power sources. Resistors. Capacitors. Inductors. Mutual inductors. Switches, hand actuated. Switches, process actuated. Switches, electrically actuated (relays). Connectors. Diodes. Transistors, bipolar. Transistors, junction field-effect (JFET). Transistors, insulated-gate field-effect (IGFET or MOSFET). Transistors, hybrid. Thyristors. Integrated circuits. Electron tubes. PERIODIC TABLE OF THE ELEMENTS. Table (landscape view). Table (portrait view). Data. Lecciones de Circuitos Eléctricos - Vol. 5 - Referencia. Ecuaciones útiles y factores de conversión. Códigos de colores de resistores. Utilizando PSpice programa de simulación. Solución de problemas - teoría y práctica.